Sleeping man at Arakashan Rd submitted to ‘I Love You’ on National Geographic. Kristian Bertel has contributed to the National Geographic Your Shot community with an assignment called ‘I Love You‘. For this assignment curated by John Stanmeyer, a National Geographic contributing photographer wants us to photograph love and stories of love. Now more than ever we must find a way to connect with each other, to show empathy and the strength of our global community. As photographers we have to photograph love, it could be for someone important to ourselves and a vision of what loving one another truly means. A photograph that can tell a story that helps us further understand our love. So we can connect with other across this vast planet and during these troubling times, the passion and need to find our commonality has never been stronger. Because Your Shot is a global community featuring photographers from 195 countries, this assignment will show stories of love. So meaningful, because photography and storytelling are powerful mediums with a purpose to inspire each other through this assignment. As John is saying it: ”- Sometimes the kindest of love is sharing ideas, allowing each of us to take our purpose and vision even further by challenging our conventions and taking us deeper into being and seeing. The love I want to share with each of you is this: as you work on this project, look beyond the surface of love. While they are touching moments, try going beyond images of people holding hands or kissing, animals gently clutching each other, or pretty moments of kind yet simple seeing. These images are lovely and are about love, but they are often too simple. I would like each of you to delve deep into the narrative of our collective humanity for what love really means. To yourself, your community, our earth. This love is not on the surface. It is not even the word “love” because it is so deep”, he says. An example of this range of meanings is that the love of a mother differs from the love of a spouse differs from the love of food. Most commonly, love refers to an emotion of a strong attraction and personal attachment. Love can also be a virtue representing human kindness, compassion and affection. But as the photographer is focusing on here in this assignment it may also describe compassionate and affectionate actions towards other humans. ”- With my photograph I want to take this assignment into dark shadows and streets of Delhi in India, because even in darkness there is light. Human beings often fail to connect to our fragility and commonality as Stanmeyer is poiting out, which in turn leads to indifference, hatred and a lack of love. More than three million men and women are homeless in India’s capital city. Some of the problems leading to homelessness include disability and can be either mentally, physically or both, lack of affordable housing considering that a basic apartment in India, unemployment either seasonal or through economic hardships and changes in industry”, Kristian Bertel says. 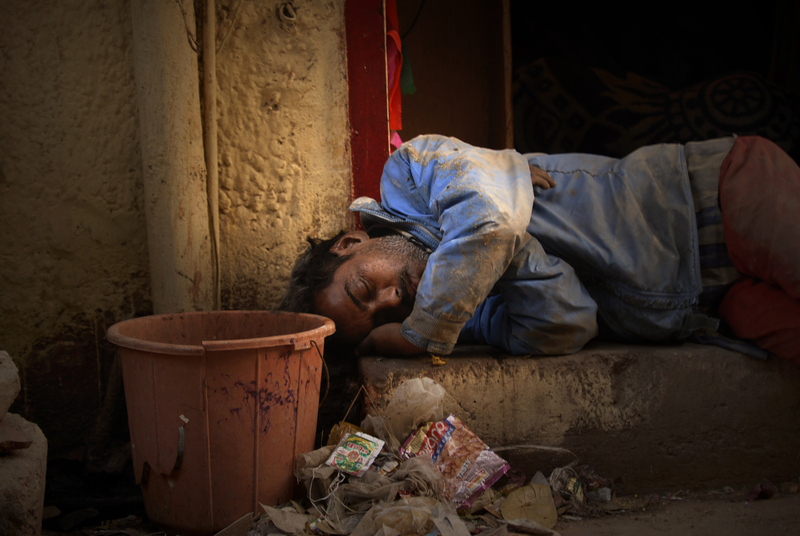 As he was thinking through his photographs before submitting it he decided to submit a photograph of a sleeping man in Delhi, India. An increasing number of migrants looking for employment and better living standards are quickly joining India’s homeless population. Although non-governmental organisations are helping to relieve the homelessness crisis in India, these organisation are not enough to solve the entire problem.